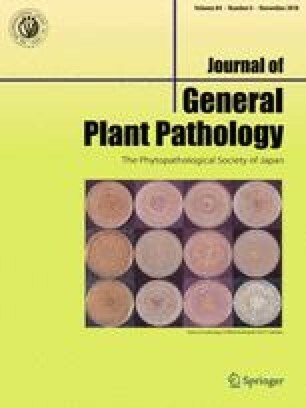 This article is an abstract of the paper presented by a winner of the Young Scientist Award at the 2018 Annual Meeting of the Phytopathological Society of Japan in Kobe. I express my deepest gratitude to Drs. Yukio Shirako, Hirohisa Kishino, Masayuki Ishikawa, Kazuhiro Ishibashi, Hideki Takahashi, and Sugihiro Ando for their continuous support. I thank Ms. Rieko Iwanami for technical assistance and Ms. Machi Suzuki and Ms. Sietske van Bentum for their contributions as students. I also thank the many people who provided material and other support for this study.